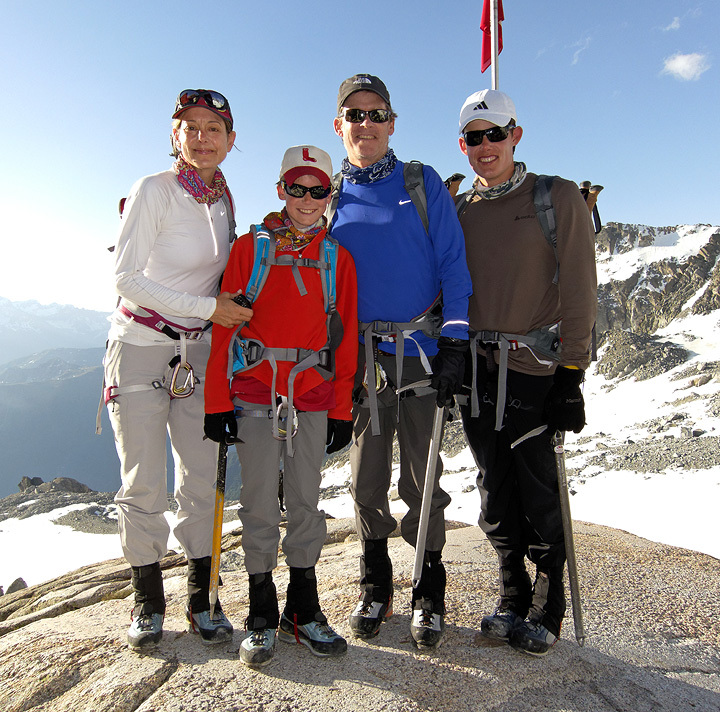 John and Tammy MacWilliams brought their two sons Jack and Thomas to the Alps for an introduction to travelling and climbing in the mountains. 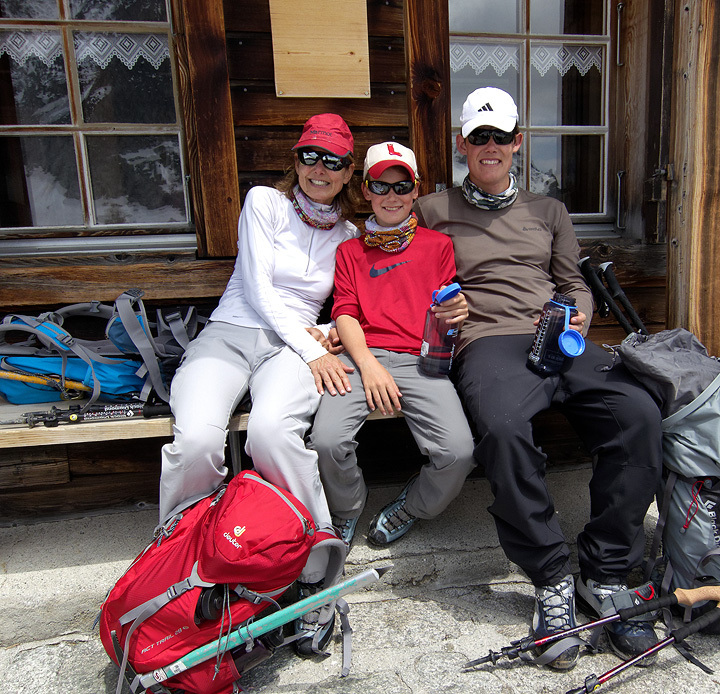 The "Swiss Family MacWilliams" at the Orny hut. 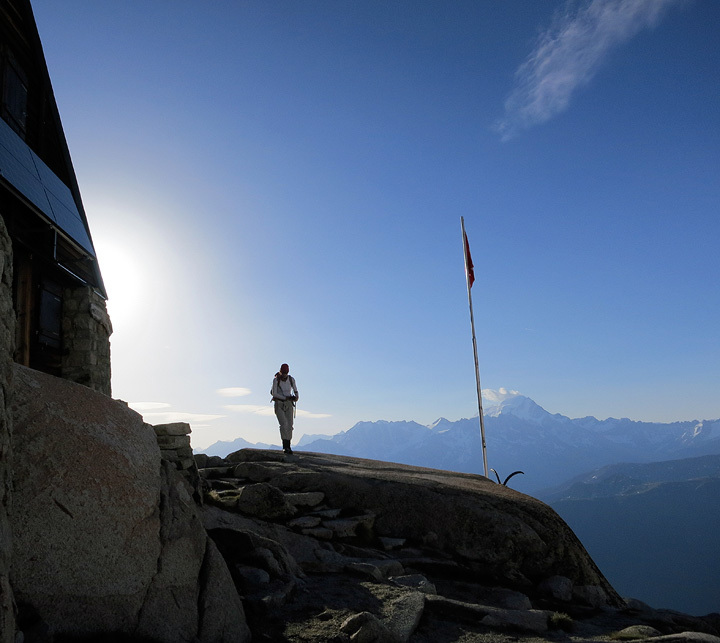 We began our trip by travelling into Switzerland to the village of Champex, from where we hiked up to the Orny hut. 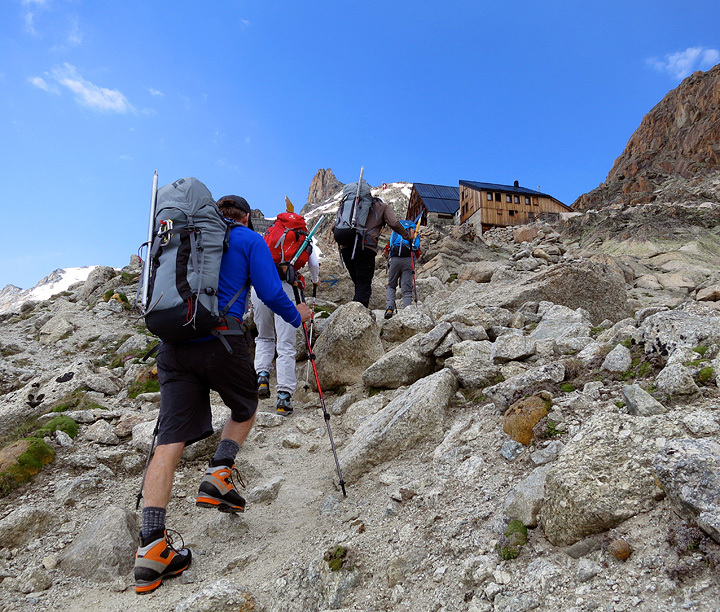 The last few steps of our hut approach. Relaxing a bit on arrival at the hut. 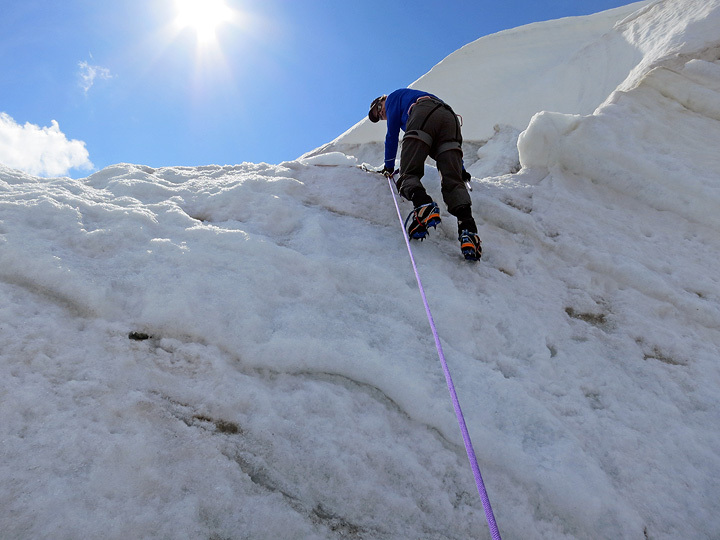 After a bit of rest at the hut, we hiked up onto the Orny glacier for some practice with gear and techniques. Jack and Thomas make some ice chips. John takes a lap on the steep ice. 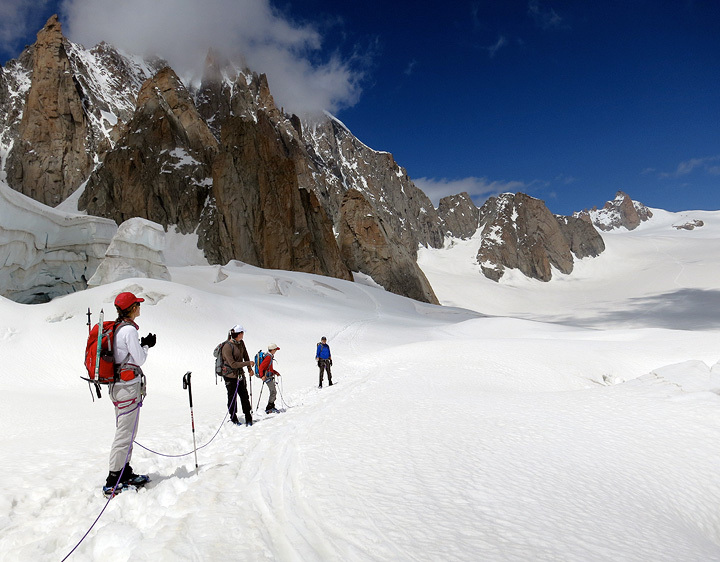 The next morning we left the hut early in the morning, en route over the border and back to France via the glaciers. Tammy saddles up and heads out on the trail. 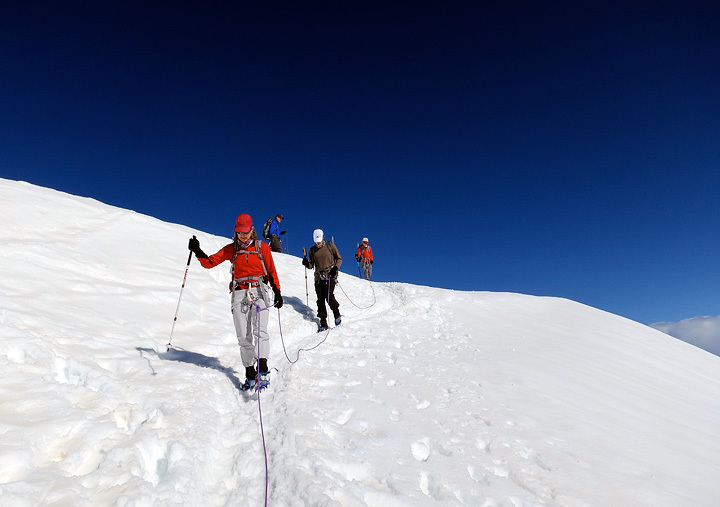 Up on the Trient glacier, enjoying the sunshine. 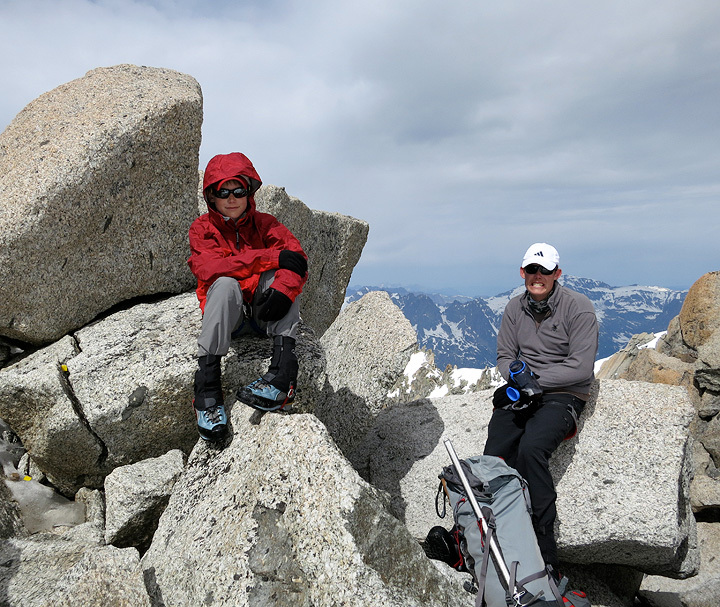 On the border between Switzerland and France, Jack and Thomas take a break at the Col Supérieure du Tour. The clouds are coming in, and the breeze is freshening. 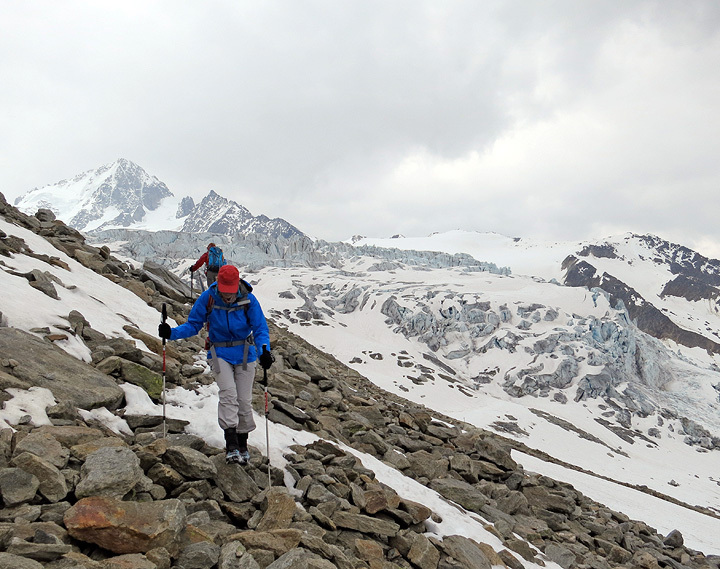 Down off the glacier below the Albert Premier hut, the rain is threatening as we leave the ice behind. 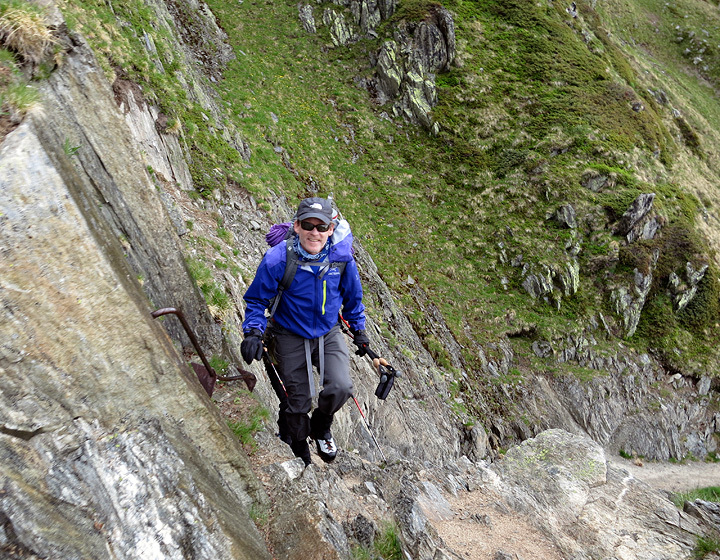 John on the steep and scenic trail toward La Balme. 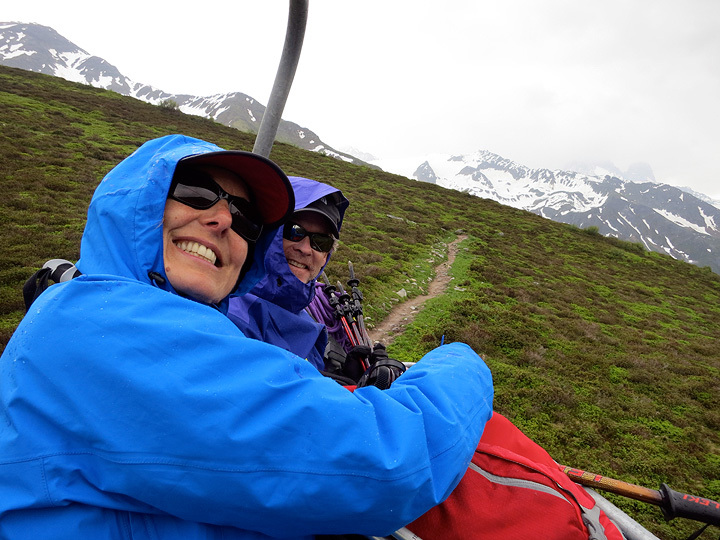 From La Balme, we took the chairlift down to town just as the rain started in earnest. 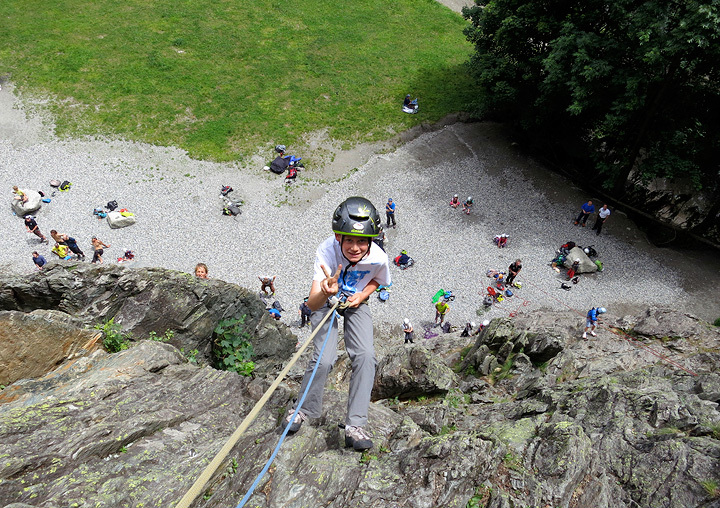 The next day we took to the cliffs at Gaillands, to learn the basics of high angle rock climbing. Jack belays as Thomas tops out on his first pitch. 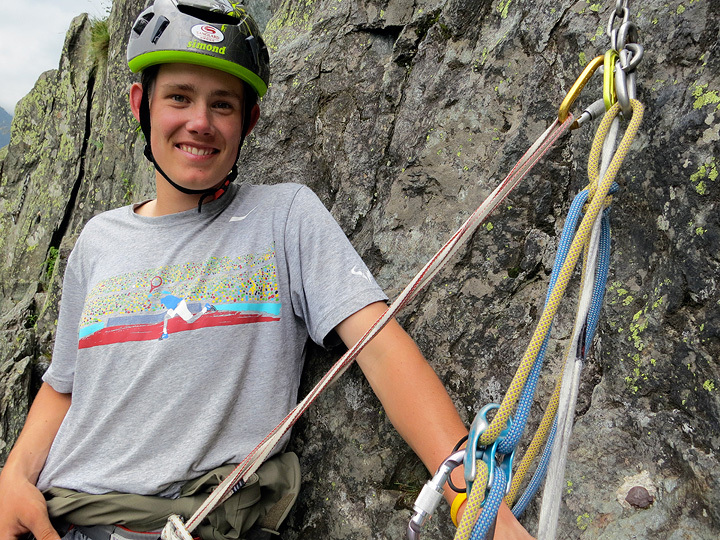 Thomas does his first rappel... and likes it! 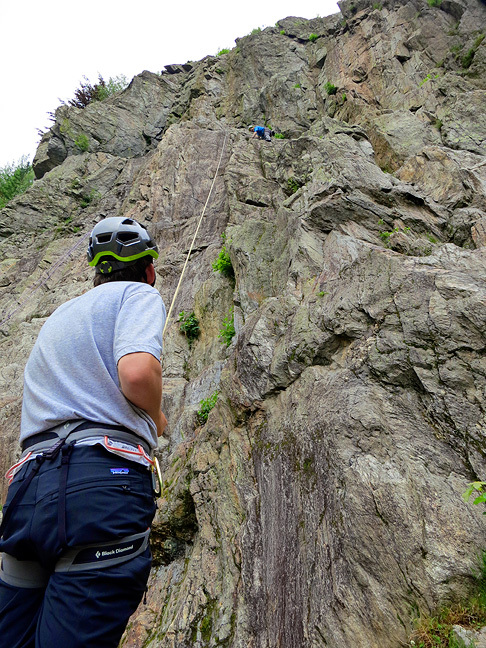 Once the basics were down, we did a multi-pitch climb to the top of the cliff, and rappeled back down. Jack gets ready to leave the ledge. 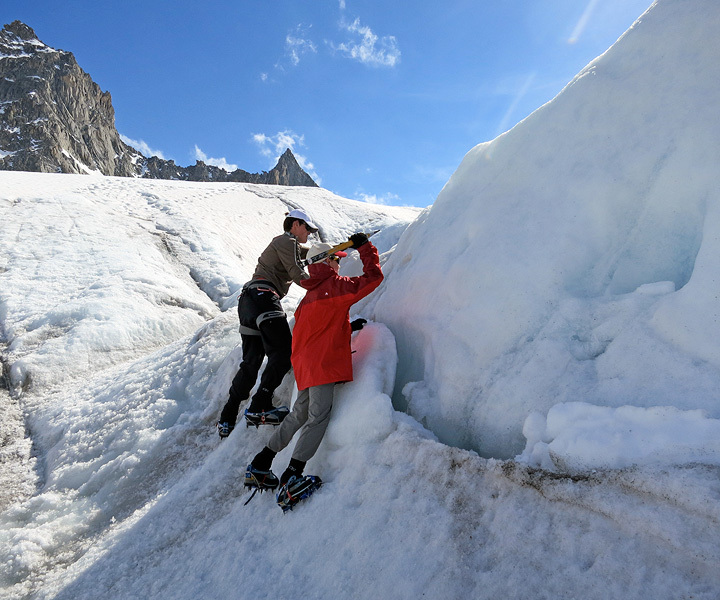 Our last project was a traverse of the Vallée Blanche. 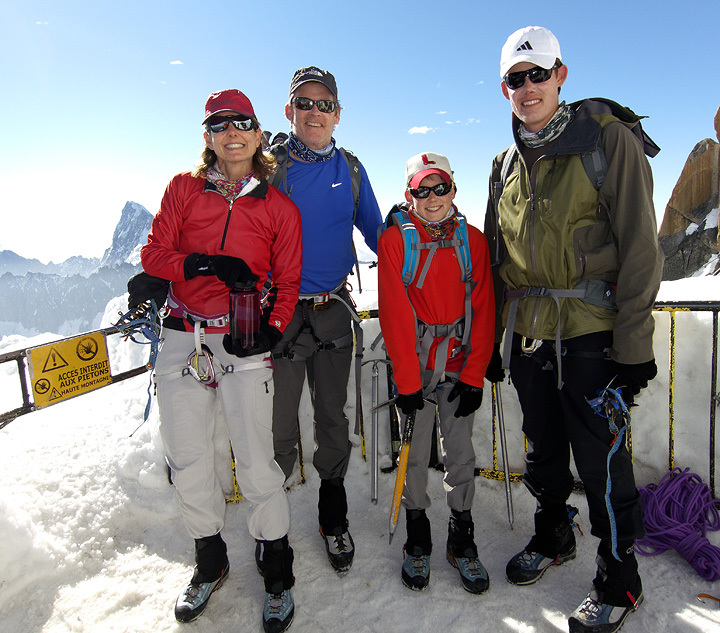 The family gears up at the Aiguille du Midi. The fabulous views eastward toward Switzerland. 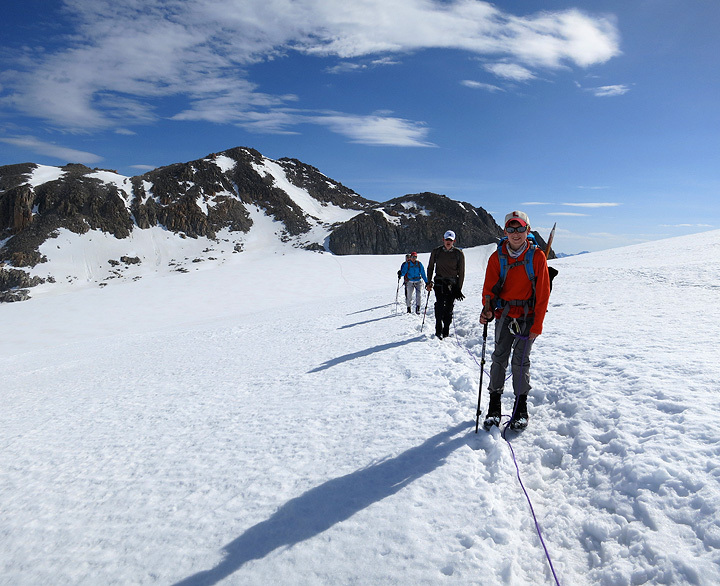 Heading down the glacier on a blue-bird day. 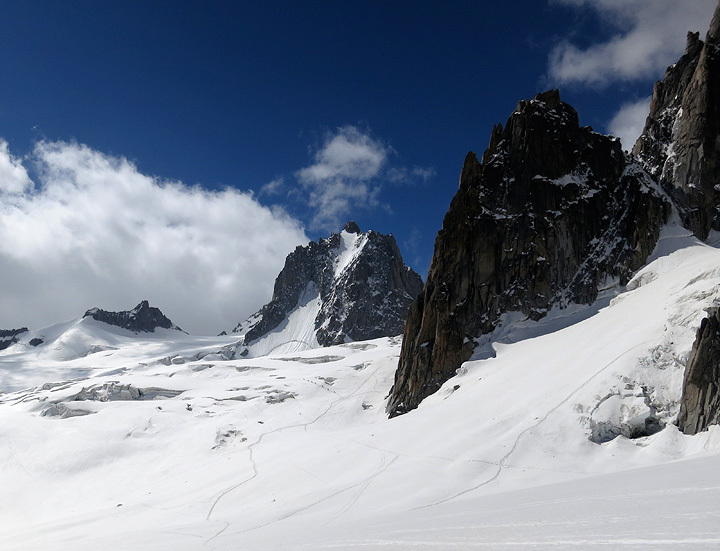 Tracks everywhere in this playground; we follow a group heading into the icefall section of the Géant glacier. We pause in the middle to look back and gauge how far we've come. 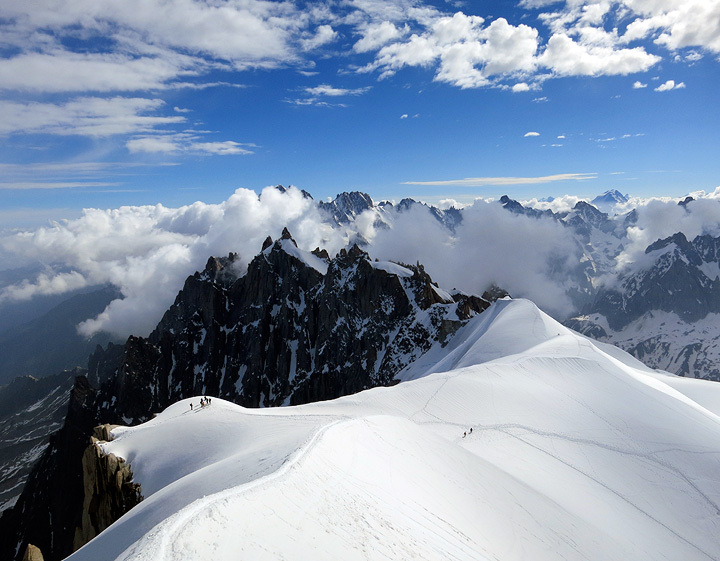 The Aiguille du Midi looks very far off. 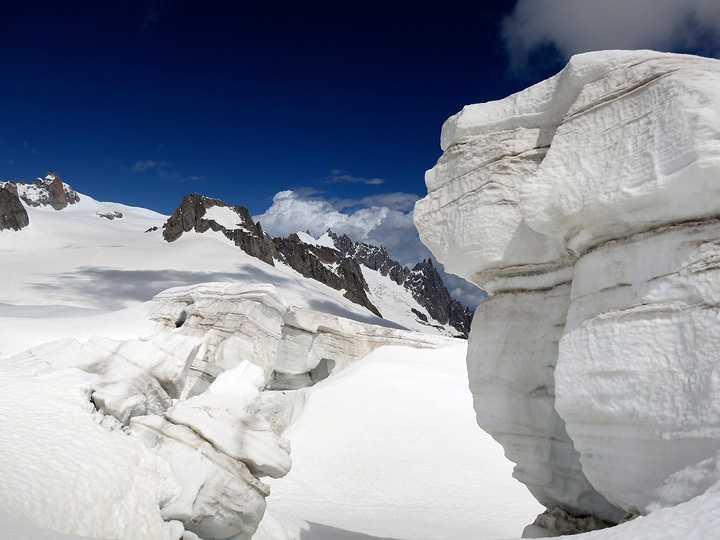 Wandering among the glacier features, they look like a strange sculpture garden. 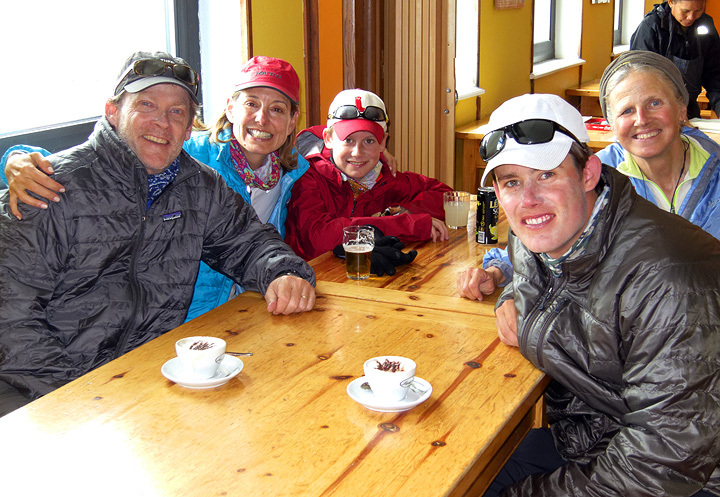 At the end of our traverse, we have a coffee break at the Torino hut. 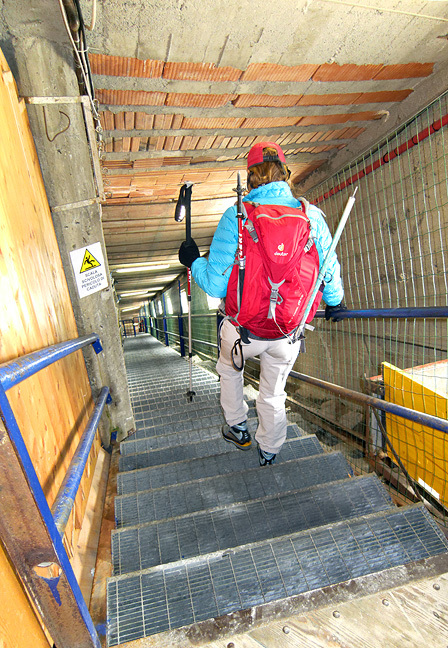 The long road home begins with a very steep stairway! It's been an eventful four days, I hope just the beginning of the MacWilliams family's mountain adventures.